Player 1 starts caring a puck behind the net. Player 2 times the skate up boards. Player 1 passes to player 2. Player 2 goes 1 on 0 down the ice. 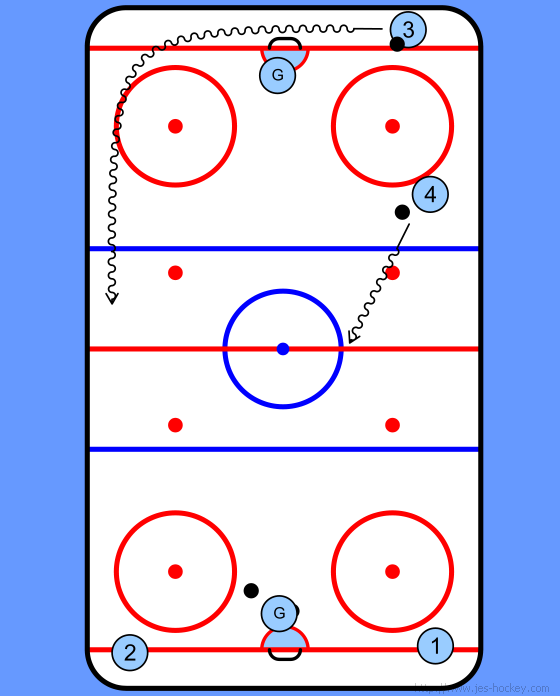 Player 1, after passing, stops and skates hard back behind the net. 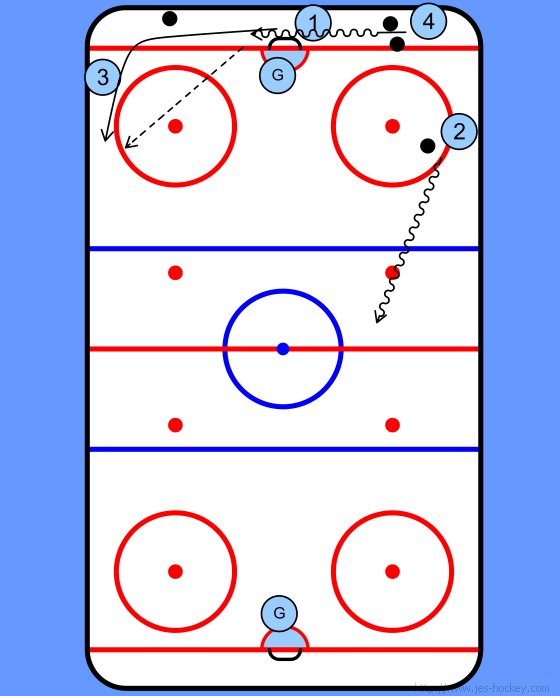 Player 4 chases player 1 with a puck and passes to player 1 going up the boards. Player 4 stops and skates hard back behind the net. 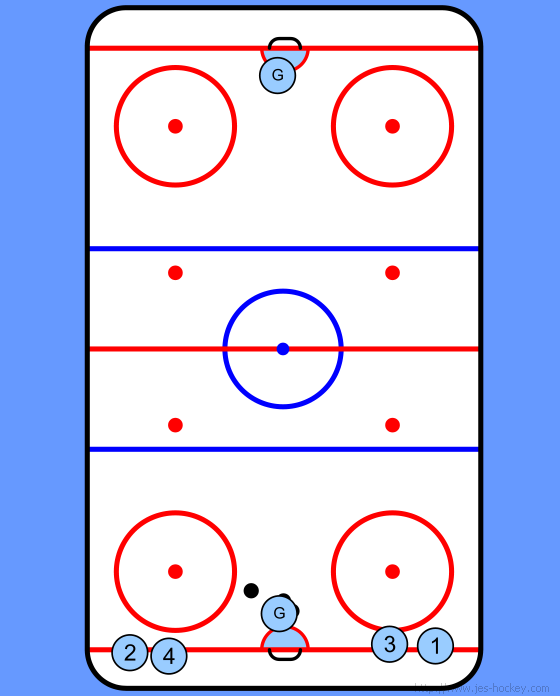 Player 3 chases player 4 with a puck and passes to player 3 going up the boards who continues 1 on 0 down the ice. 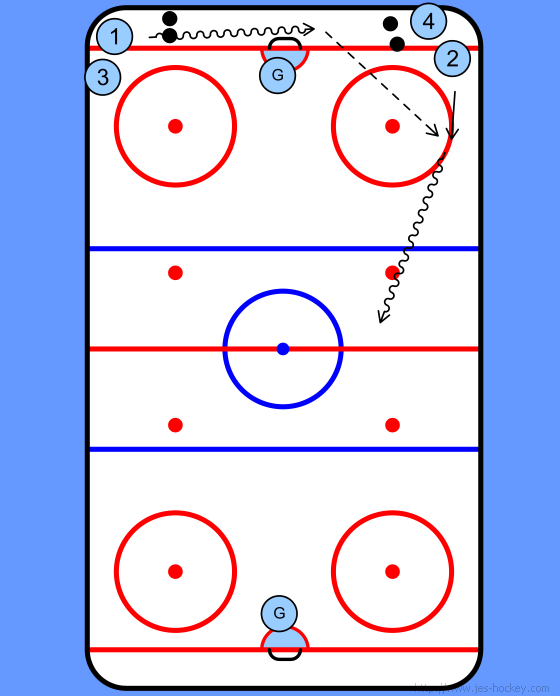 Player 3 picks up the last puck, skates behind the net and continues 1 to 0. 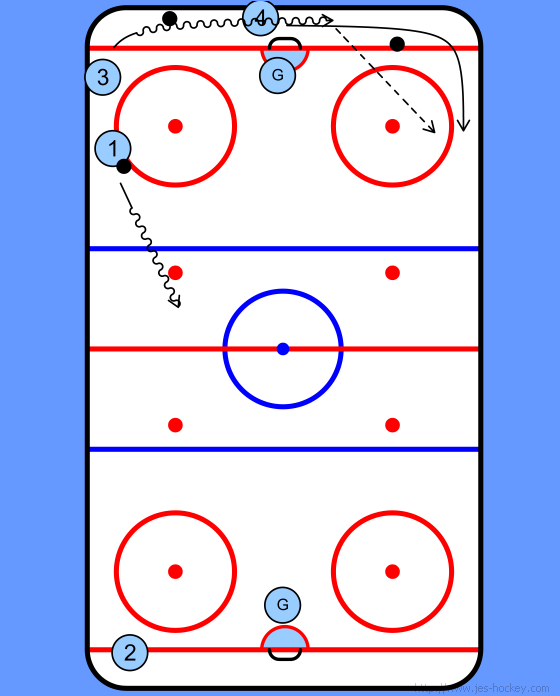 Repeat this going the opposite way down the ice. And start the 2 on 0 warm up.